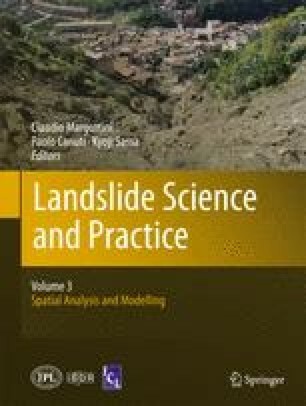 Aiming at better understanding the processes involved in perched water tables onset and in their development, the case of a soil slope characterised by gradually decreasing hydraulic conductivity at saturation with depth was numerically investigated. Different anisotropy factors and steepness values were accounted for. The problem was led to a dimensionless form on the basis of the Buckingham π-theorem. Coherently with a theoretical solution of the 2D sloping case, the simulations evidenced (a) non-monotonic transverse profiles of the pressure head within the perched water, (b) slightly lower infiltration thresholds for perched water onset and for soil waterlogging, with respect to the 1D case. If the slope is long enough, an almost uniform flux can be observed in a branch of its central part. The work was partly founded in the framework of European FP7 Project KULTURisk (Grant Agreement n.265280).